The two iPad Pro tablets have been the differentiating factor for Apple here. A recently released IDC report reflects on the steadily declining tablet sales globally. With 39.6 million units sold, gross tablet sales have declined by 14.7 percent since last year. While slate tablets have accounted for a majority of the tablets at 87.6 percent, the detachable tablet computers have seen growth in adoption, accounting for around 12.4 percent of tablet sales volume and 4.9 million units. 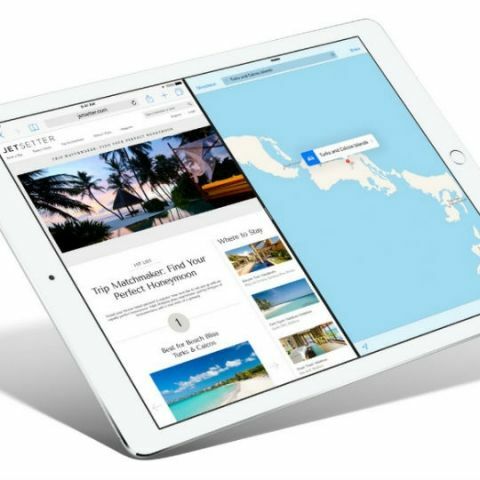 In terms of companies, Apple has led the steadily declining market of tablets with the iPad Pro 9.7 and 12.9, with Samsung following up in the second spot. Other companies that feature in the list of major tablet sellers include Amazon, Lenovo and Huawei. In terms of future sales, predictions suggest that major iPad sales will be based on existing users looking to upgrade/extend their gadget base. In the detachable segment, the market has seen buoyant growth, promoted by Microsoft’s introduction of the Surface lineup of products. Microsoft’s Surface tablets are prospective tablet replacements, exposing the potential for multiple manufacturers to come up with similar products. Samsung has the TabPro S, while multiple other companies have come up with similar products as Smartron’s t.Book, among others. While Apple’s iOS ecosystem has helped the company promote the iPads to the top of the leaderboard, competition from Microsoft’s Surface tablets have meant that tablets by the likes of Samsung and others face stiff competition in terms of pricing and hardware. Nevertheless, tablets have been on a steady decline, and in the near future, may completely transform from their original target purpose of productivity.